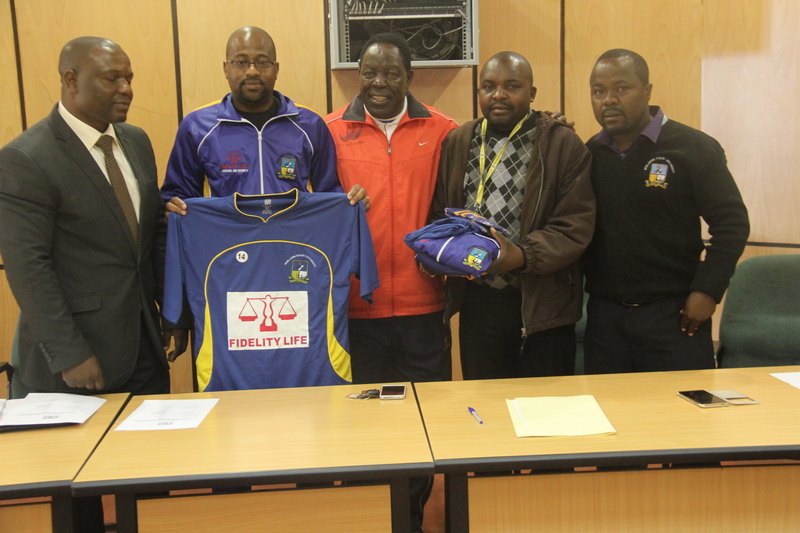 Midlands State University Football Club (MSU FC) recently received a major boost after leading life assurance concern, Fidelity Life Medical Aid Society (FLIMAS) donated a soccer kit and track suits to the team that plays in the ZIFA Central Region Division 1 League. Speaking at the event, the Deputy Dean of Student Affairs Mr. Vandirai Hove commended the support extended by FLIMAS to the football team and challenged the football team to thank the medical aid society by qualifying into the Castle Lager Premier League. The Deputy Dean noted that the kit donation was not a first as the medical aid society once donated an ambulance to the University’s clinic. FLIMAS Head of Business Development (Life and Health), Keith Nkomo, who handed over the kits, stated that the medical aid society had played its part in supporting the team and the onus was now on “The Students” -as the team is affectionately known- to rediscover the winning formula after having drawn their last four games. MSU FC’s next game is away to Whawha Football Club and it is hoped that the donation will spur the team to victory.